Fontana still dominating Junior Market trading. 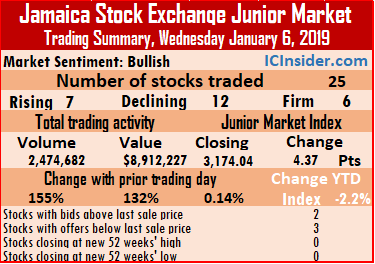 The Junior Market index of the Jamaica Stock Exchange inched 4.37 points higher to 3,174.04 at the end of trading on Wednesday, as the prices of 7 securities rose, 12 declined and 6 remained unchanged. Trading ended with 25 securities changing hands, compared to 27 securities on Tuesday, resulting in an exchange of 2,474,682 units valued at $8,912,227, compared to 2,965,697 units valued at $11,127,007 on Tuesday. 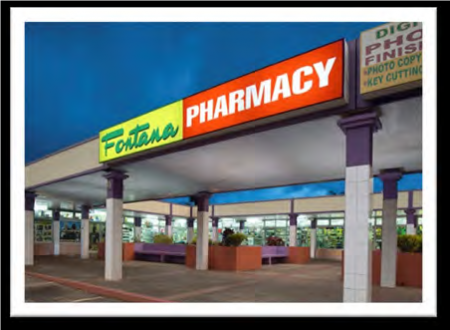 Fontana continues to trade in large volumes, ending the day with just under 1.9 million units changing hands. Trading ended with an average of 98,987 units for an average of $356,489 in contrast to 109,841 units for an average of $412,111 on Tuesday. The average volume and value for the month to date, amount to 102,324 shares valued $367,381 and previously 103,436 shares valued $371,012. In contrast, the average trade in January was 2,245,428 units with a value of $7,372,574 for each security traded. IC bid-offer Indicator| At the end of trading, the Investor’s Choice bid-offer indicator reading shows 2 stocks ended with higher bids than their last selling prices and 3 closing with lower offers. 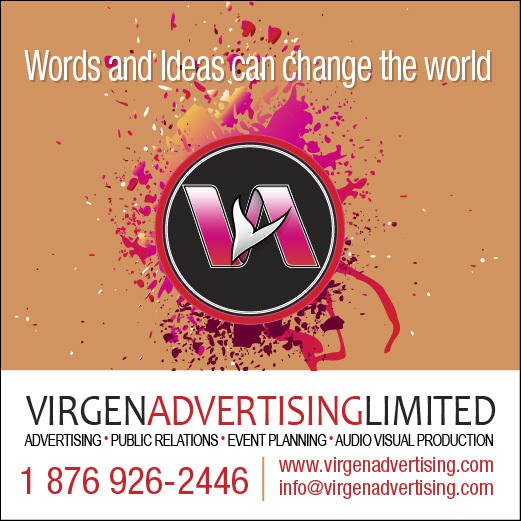 At the close of the day’s activities, AMG Packaging ended trading of 239,150 stock units, with a loss of 15 cents at $2.45, CAC 2000 finished trading 919 shares at $13, Caribbean Cream ended trading 4,664 shares at $5.95, Caribbean Flavours traded 100 stock units with a loss of 3 cents at $16. 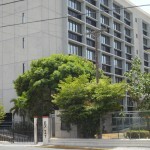 Caribbean Producers finished trading with a loss of 5 cents at $4.70, with 16,054 units changing hands, Derrimon Trading ended with an exchange of 1,100 shares at $2.95, Dolphin Cove climbed 45 cents higher to $15.50 in concluding trading of 1,896 shares, Everything Fresh finished with a loss of 5 cents at $1.55, with an exchange of 10,000 stock units. Elite Diagnostic settled 1 cent higher at $3.11, in exchanging 60,616 units, Express Catering traded 39,576 shares, with a loss of 4 cents to close at $7.90, FosRich Group fell 16 cents to $3.60 in exchanging 5,000 shares, Fontana rose 10 cents to close at $3.60, trading 1,863,585 shares. 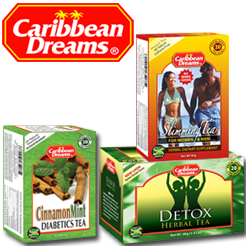 General Accident closed with a loss of 6 cents at $3.94, with 3,960 stock units trading, Honey Bun concluded trading of 21,701 shares, and closed 14 cents higher at $3.89, Indies Pharma ended trading at $2.95, with 82,351 units, Jamaican Teas closed trading with 5,600 stock units after declining 15 cents at $3.85. 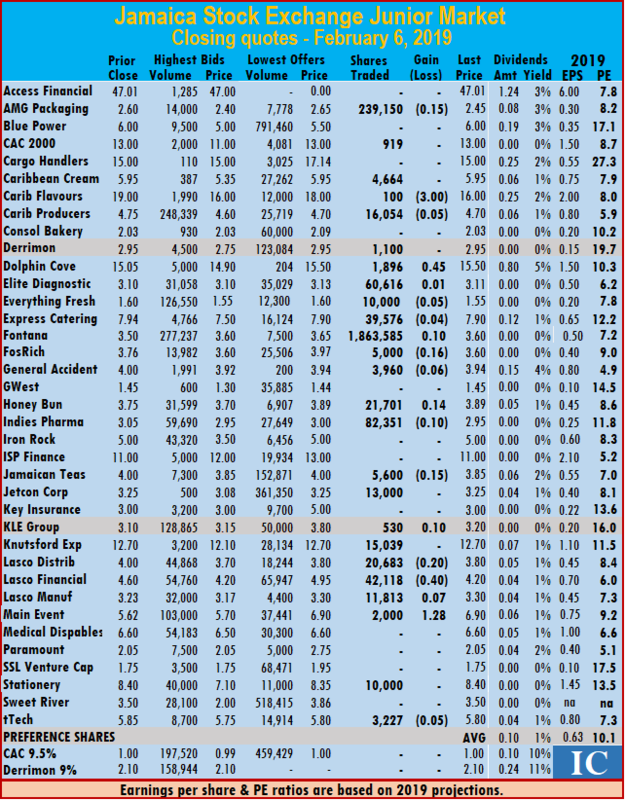 Jetcon Corporation closed at $3.25, with 13,000 units changing hands, KLE Group closed 10 cents higher at $3.20, after trading 530 shares, Knutsford Express ended at $12.70, with an exchange of 15,039 shares, Lasco Distributors lost 20 cents to close at $3.80, with 20,683 stock units changing hands. Lasco Financial finished with a loss of 40 cents at $4.20, with an exchange of 42,118 units, Lasco Manufacturing settled 7 cents higher at $3.30, in trading 11,813 shares, Main Event ended trading 2,000 shares, with a loss of 7 cents to close at $5.55, Stationery and Office ended at $8.40, trading 10,000 shares and tTech finished with a loss of 5 cents at $5.80, as 3,227 shares changed hands.